You can tell where the Me Me Me Blush Boxes get their inspiration from, but obviously at £8.50 it's a big step down from Benefit's at £23.50. It even comes with a mirror and brush but as you can see it doesn't have the flip lid like Benefit's. 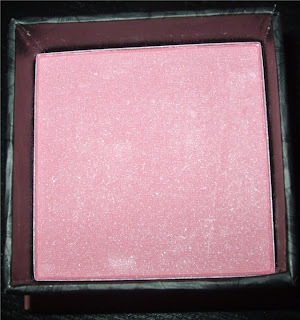 The Blush Box comes in 4 shades, some are really ultra pigmented but I find this one isn't as much, though it can easily be built up without going overboard. It's a light angelic pearly pink with subtle sparkle. 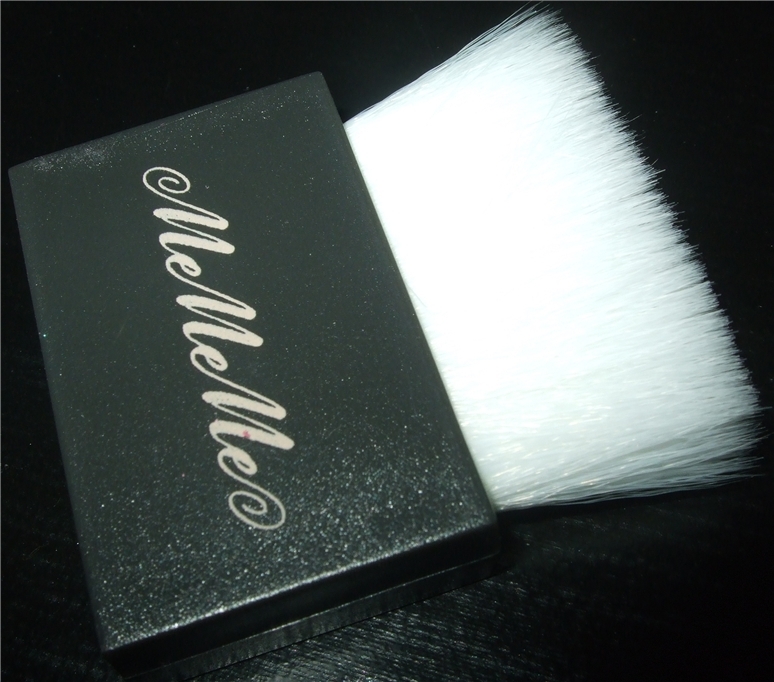 It has a soft texture but it is quite powdery when you swivel your brush round the pan, though there is a deep box to cover this problem. I do love the result of my light pink glowing cheeks. 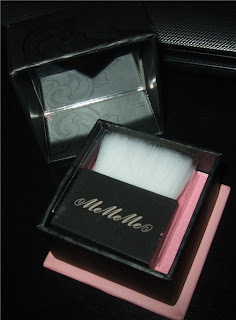 For me the brush is pretty useless, it's extremely soft but it's far to thin and square to be any use for applying blush, unless of course you love the stripey look. 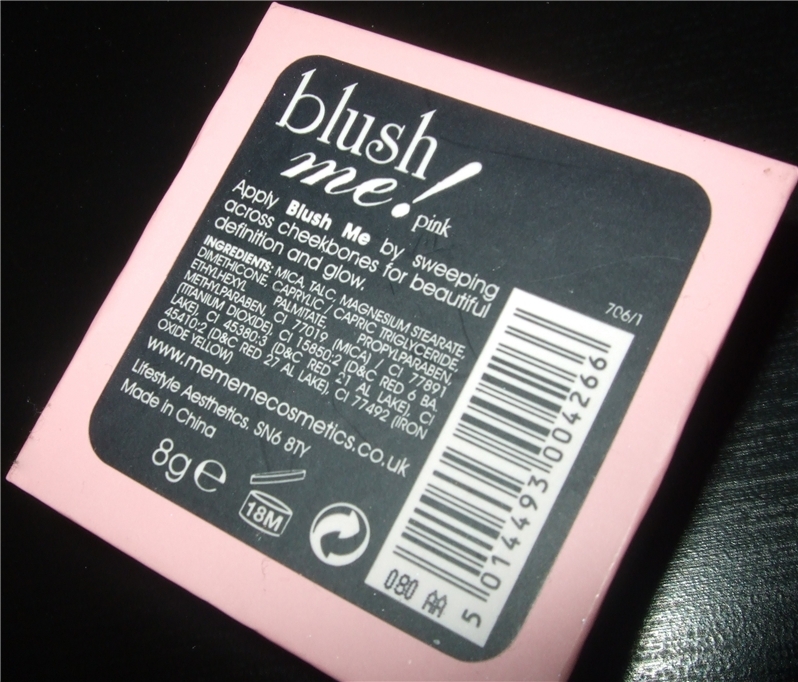 that's a nice blush ha.. i like the packaging- so benefit!